For over two decades, UC Santa Cruz politics professor Sikina Jinnah has studied how climate politics unfold at a global scale. Most recently, Jinnah has focused on the politics of climate engineering, a set of emerging technologies aimed to moderate global temperatures. Sometimes referred to as “geoengineering”, these theoretical approaches have included ideas such as sequestering the earth’s carbon or reflecting sunlight back into space. These proposed tools have come under fierce criticism. Some see it as a moral hazard–a way to ignore or even undermine efforts to mitigate and adapt to climate change. For Jinnah, climate engineering is an opportunity to talk about governance. Because scientists are forging ahead with the research and development of technologies to alter the earth’s changing climate, there needs to be a global dialogue about what this development and possible implementation should look like, Jinnah has warned. She has argued that future climate engineering policy interventions should establish a transparent governing structure with accountability, best practices, and public engagement. 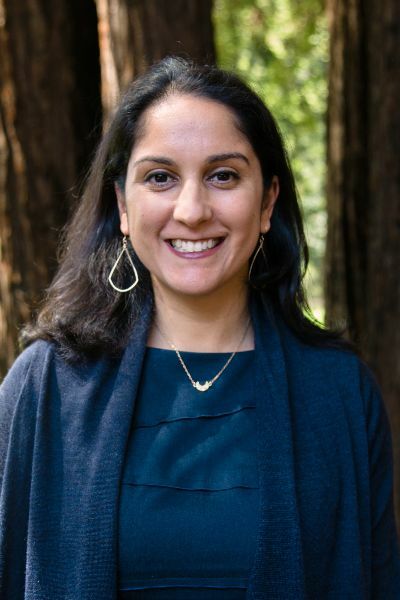 Jinnah, who joined UC Santa Cruz in 2016 from the School of International Service at American University in Washington D.C., started researching the governance issues of climate engineering in 2014 when she joined the Forum for Climate Engineering Assessment Academic Working Group (AWG) on International Governance of Climate Engineering. The AWG needed experts on environmental policy and Jinnah–who had already published comprehensive studies on climate change politics–was the perfect fit for the group. Since then, Jinnah was named an Andrew Carnegie Fellow in 2017 for her work assessing the social, ethical, political, and legal implications of geoengineering and has authored several book chapters and journal articles on the topic. One of her recent publication includes a paper in Climate Policy on Solar Radiation Management, a technique that could possibly create a cooling effect by reflecting sunlight back into space. In addition to her work on geoengineering, Jinnah has also examined the intersection of transnational trade agreements and climate policy. Specifically, she has explored ways environmental rules and norms diffuse through trade agreements (such as NAFTA) and how preferential trade agreements (such as US-Peru agreement) can help make global environmental agreements more effective. In the following interview, Sikina Jinnah shared her thoughts about what climate governance looks like and ways to implement environmentally-sound policies. Your research focuses on climate governance. Can you explain what governance means, especially in the context of climate policy? Sikina Jinnah (SJ): Governance is a broad term that encompasses formal and informal ways of steering behavior in societies. It can be restrictive, as with some environmental regulations, but it can also be enabling. For example, daylighting funding streams or enhancing capacity for cooperation through information sharing can serve to enable research that society may deem beneficial. Governance also includes voluntary and non-state (or non-governmental) initiatives, such as codes of best practice, public engagement activities, and corporate pledges. Climate governance includes not only the United Nations’ Paris Agreement, but also the patchwork of national, sub-national, and private and non-governmental activities that all contribute to the common goal of reducing greenhouse gas emissions. All of these activities will be crucial in addressing the massive problem of climate change. You received an Andrew Carnegie Fellowship to examine political implications of geoengineering. What has been your biggest takeaway so far from the research you’ve have done as a part of the fellowship? SJ: My research thus far has argued that although governing climate engineering will be a massive undertaking–and incredibly challenging–it is possible through what many in my field call a ‘polycentric’ approach. This basically means that we shouldn’t expect a new treaty or single institution to take on this issue anytime soon. Rather, like much of climate governance more broadly, climate engineering governance is likely to unfold in a patchwork manner across scales and institutions. Climate change impacts so many facets of society and life that there are a plethora of relevant organizations and institutions that have the necessary capacities to contribute to governance in this area. Whereas one organization might take on developing a transparency mechanism for ongoing research, policy, and funding. Another might take on an evaluation of how climate engineering is being incorporated into domestic climate response strategies (if at all) and another might coordinate public engagement on this issue. It’s going to take a village. It is going to be a massive challenge but that should not be a reason to shy away from discussing governance in this area. From your perspective, what are the biggest misunderstandings of geoengineering? SJ: The most important misunderstanding is that geoengineering is already happening. It’s not. Scientific research is underway but deployment–if we ever choose to pursue that route–is still some ways off. The other argument we often hear is that it’s not governable, in part because it’s too complex. I disagree with this assessment. Yes, it’s going to be a massive challenge. Yes, governance is not going to be perfect. It never is. However, we must lean into it before we find ourselves with the technological capabilities to deploy but without governance frameworks to control it. How does one create–let alone implement–new policies for new technologies? SJ: Broad and meaningful public engagement is central to creating and successfully implementing new policies in this area. This doesn’t mean merely telling people what climate engineering is and how the science is unfolding. Rather, it means developing forums for dialogue and institutionalized mechanisms for addressing public concerns and incorporating public input into policy making processes. Climate engineering is contentious and for good reason. These technologies have great potential to decrease the impacts of climate change in the absence of much needed, but to date insufficient, political action. However, they also have the potential to alter the earth in unprecedented ways, with possible impacts on everything from food security to rainfall patterns and ocean health. These impacts have relevance not just to people today across the globe but also for future generations who we may inadvertently commit to using these technologies indefinitely if we don’t give careful and broad participatory attention to their governance as soon as possible.